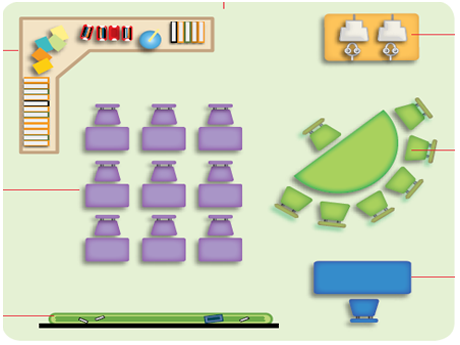 A classroom layout similar to the model to the left, the teacher works with one small group of students at a time while students rotate from one activity or literacy center to another. 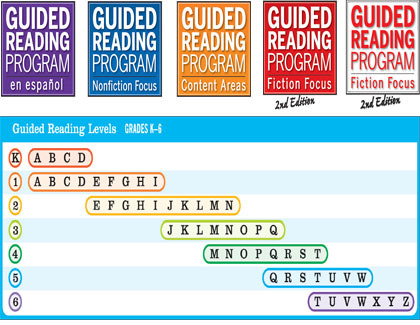 No title overlap among Guided Reading Programs or 1st Edition! Build your student’s content area knowledge while improving their reading comprehension skills with leveled short informational texts for grades K-6. Each level of the program offers a range of informational topics and 10 distinct text types. These texts feature powerful lessons, giving all K-6 students a unique and effective way to master increasingly complex nonfiction titles. A variety of text types such as encyclopedia, fact books, essays, and more! 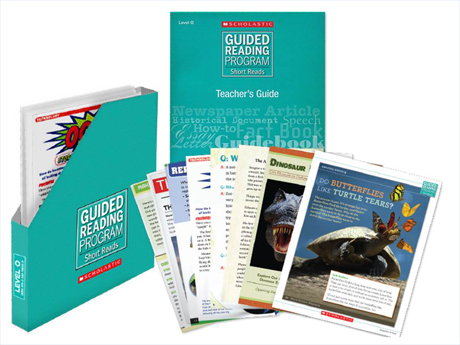 Build or add to your classroom library by purchasing sets of authentic leveled books by Guided Reading level. 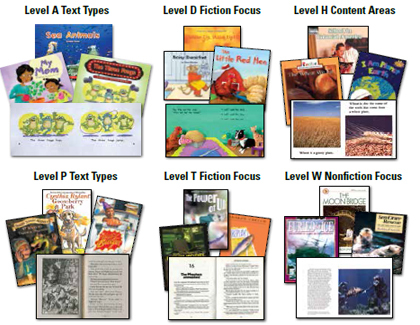 Refer to the leveling chart below and base your selection of books on levels appropriate for your students, as well as genre, text type, and theme. 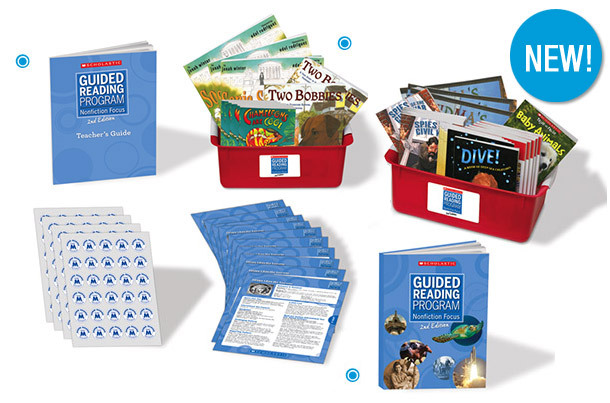 Designed for independent reading, paired reading or small-group guided instruction, these sets will help educators tailor instruction to meet the needs of all students. A proven-effective approach for teaching reading. Features a teacher card for every title.